It’s a good way to start with the Singapore Flyer because you get to see the city from a height. The flyer is at 165m is supposed to be the world’s largest observation wheel outside the US. You enter into a safe glass capsule and the wheel starts moving slowly, the moment is almost imperceptible, till you see outside and see the height you have gained. You are treated to a panoramic view of Singapore including the iconic sights of the Merlion, Gardens by the Bay, Marina Sands etc. The rides takes about 30mins. There are premium options available like dining while treating your eyes to a 360 degree view of Singapore. No Singapore travel guides can afford not to mention the Gardens by the Bay. It is a park that encompasses an area of about 250acres of reclaimed land near the waterfront of Singapore. The gardens are an effort by the Singapore Government to transform their city from a Garden City to a City in a Garden, by ensuring the preservation of the environment and the nurturing of greenery and flora. The garden is divided into three sections, namely, Bay Central Garden, Bay East Garden and bay South Garden. The gardens have different landscaping themes in different sections, like, tropical forests, the Orchid which is Singapore’s national flower, etc. The place is lovely to spend some quiet time, take long strolls and in short cool off in the lap of nature. And finally what dominates the landscape of the gardens are the Supertrees, which are a tall tree like structures that tower from about 80 to 160 feet. The Supertrees are vertical gardens that house an exotic variety of orchids, ferns, vines etc.. There is an elevated walkway that connects two of the largest Supertrees where one can take a walk and take in a panoramic view of the gardens. As night descends, the Supertrees are illuminated and acquire a radiant beauty that has now become iconic with this city. There is no admission fee for the outer gardens, but you do need to buy tickets for visiting the different conservatories or the Skywalk. Any Singapore sightseeing trip would be incomplete without a glimpse of the intriguing Merlion. The Merlion is an iconic landmark of Singapore. 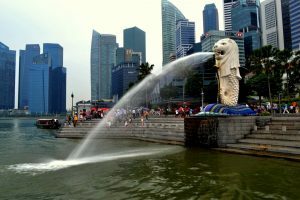 The Merlion which is a mythical creature with the head of a lion and the body of a fish is in many ways the personification of the spirit of Singapore and its history. The Merlion has become synonymous with Singapore in many ways over the years. 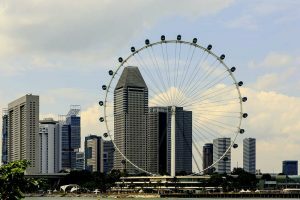 We viewed the Merlion statue from close quarters from a boat as we cruised along the Singapore river, taking in the city’s skyline. The sight of the Merlion spewing water majestically against the Singapore skyline is indeed a sight to behold. 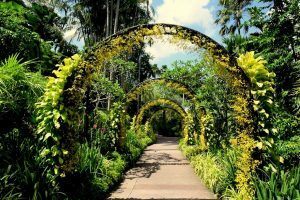 There are so many Singapore points of interest that will interest you but what will really enthrall you with its natural beauty is the Botanic Gardens. A beautiful garden set in verdant locations. The Botanic Garden has a long history. It was established as early as the year 1859 and has ever since been the home for the finest Flora, the garden is a UNESCO World Heritage Site and a favorite haunt of locals and tourists alike. Spend some lovely evening sauntering in the 82 hectare garden which houses about 1200 species of Orchids and about 2000 hybrids. One of the attractions that fascinates everyone at Botanic Gardens was the VIP Orchid Gardens which has the finest hybrid Orchids named after visiting heads of state, celebrities and other dignitaries. Singapore zoo is spread around over 96 acres of land and around 315 species of animals. The Zoo provides a natural habitat for the animals and ensures an open environment for them. Moats and other hidden barriers separate the animals from the visitors. One of the highlights of the Zoo is, “Breakfast with the Orangutans”, which offers visitors the chance to interact closely with the animals. The Zoo is a popular attraction that draws more than 1.7 million visitors annually. 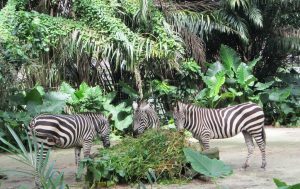 The zoo is an ideal place to visit while in Singapore with family and kids. There is a night safari also available which takes you into the interiors of about 40 acres of secondary forest that are adjacent to the Zoo and one can live the thrill of a nocturnal adventure of spotting wild animals in the dead of night. The Jurong Bird Park is a giant aviary which covers an area of about 50 acres and can be considered to be one of the world’s best bird zoos. Jurong Bird Park is home to over 5,000 birds across 400 species. 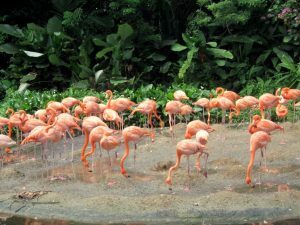 Bird life from across the world can be seen in Jurong Bird Park and this includes a magnificent fleet of flamingoes, penguins in specially climate controlled chambers, The Jurong Bird Park also organizes a number of bird shows that showcase the interaction of Man and Bird. The place to bring to life all your Silver Screen fantasies as you ride a roller coaster of immersive and larger than life experiences. An exciting time for the entire family as you zoom through the seven zones of the Universal Studio, namely, Hollywood, New York, Sci-Fi City, Ancient Egypt, Lost World, Far Far Away and Madagascar. 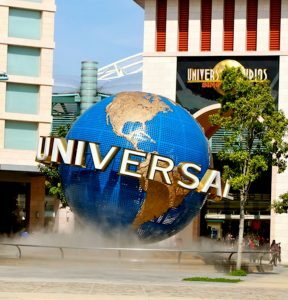 A day spent at the Universal Studios guarantees that there is not going to be even a single dull moment and you would create memories to cherish for a long time. A vibrant and ethnic historic area of Singapore that pulsates with the colors and diversity of Indian culture. Little India with its melange of temples, mosques, churches and Indian food options along with shop till you drop options is a must visit when you are here. China Town is a delightful blend of history, culture and modern cafes and stores. 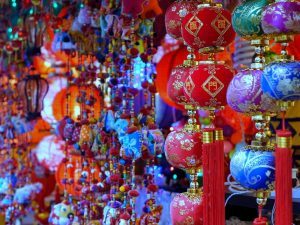 A walk in China street absorbing the aromas of Chinese food emanating from the wares of multiple street food hawkers and cafes is sure to remain etched in one’s memories. A place that is a slice of China is another must have an immersive experience. An idyllic haven for entertainment for the entire family. That is what Sentosa island is all about. It is a custom built island just off the southern end of Singapore and can be reached by means of a scenic ride on a cable car. 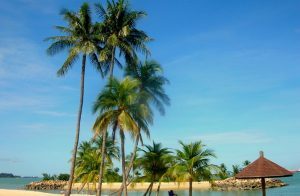 The Sentosa island has some tranquil beaches, theme parks, museums, eating and shopping options all in a carnival kind of atmosphere. A day can be spent here with the entire family, bonding over some exciting activities. 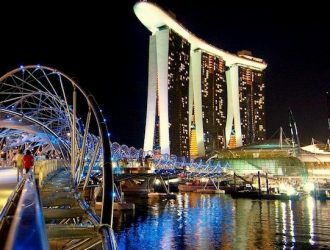 There are many Singapore holiday tour packages available with President Travel & Tours. You can also ask us to customise your trip to fit your requirements and budget. If you like to get in touch with us for your holiday in Singapore call our customer service representatives at 014220245 Ext or our Marketing team Anuj or Neeti at 9849197472. 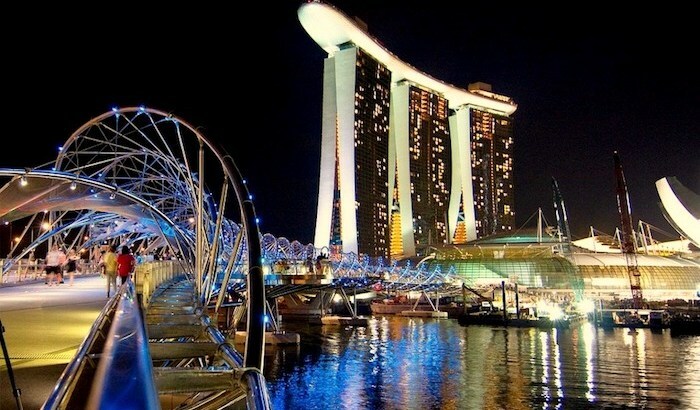 Hope you loved reading our post and liked our listing of the top 10 things to do in Singapore. Have you been to Singapore? Which is your favourite attraction in Singapore? Do let us know in the comment section. wow … Singapore is amazing. I will be in Singapore next spring !! !